Optimumcut-1D v3 Professional allows users to Design, Estimate, Bid, Negotiate, Secure, Schedule, Optimize, Manufacture, Deliver and Install their Architectural Aluminium, Glass, Contract Glazing & Manufacturing products in a simple to use easy to understand interface. 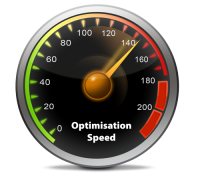 No more need to pay high costs for specialists to program your component databases. ERP Software for the fenestration, contract glazing and manufacturing industries. Optimumcut 1D v3 Professional allows users to design, schedule, estimate and submit your bids, negotiate your bids, secure your project, order optimised materials, create optimized cutting lists, link to CNC saws and pusher / automated stops, fabricate your products with accuracy and speed. Finally deliver your products to site, install, commission and handover to the customer in the knowledge that Optimumcut has enabled you to obtain the maximum from a minimum. Improved performance. It’s power linear material cutting optimisation. With Optimumcut-1D v3 Professional, it’s really easy to get all of your window, door, storefront, curtainwall, solar shading and louvre component styles organised. Any component style you create using Optimumcut-1D v3 Professional will be stored in your own corporations private and secure Optimumcut Cloud. Then armed with your whole library collection of component styles to choose from you can quickly create estimates, projects and bids in double time. All component styles stored in your Optimumcut Cloud can be synchronized to your workstation so at any time you can work locally offline. Design, schedule, edit and view your component styles. Before introducing a component style into your project estimate / bid you can quickly zoom into the components elevation drawing, check your cross sections, specifications, linear materials, glazing, panels, ironmongery, accessories and any miscellaneous items all from within the Optimumcut-1D v3 Professional Interface. If the component style is the one you require, simply insert a copy of the component into your project and then you can customize the component name, location, master quantity, widths, heights glass, panel specifications and any miscellaneous items to suit your project requirements. Each project can consist of an unlimited number of component styles, configurations and quantities. Analyse, Estimate and submit your Bid / Quotation. Each project you create can include as many components as required to fulfil the projects requirements. A combination of components can be introduced e.g. windows, doors, storefront etc. You can label each individual component to cross reference with enquiry documents Bills of Quantity’s. 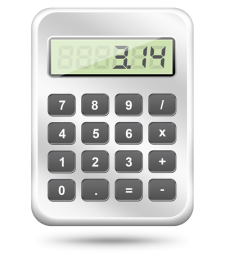 Consider your companies overheads, profit margins and keep re-calculating your projects costing reports in real time until your corporation is happy with the estimate / bid price. With over 20 reports available all generated in real time. Users can quickly familiarise themselves with the power and flexibility Optimumcut-1D v3 Professional has to offer. 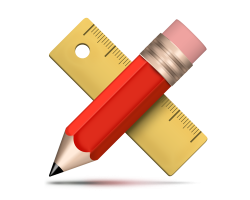 Not only can you print the reports, they are available as PDF, DOCX, RTF, XLS and HTML. So introducing an Optimumcut generated DOCX or PDF to embed in your tender / bid is fast and simple. 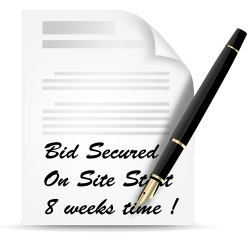 Negotiate and secure your Bid / Quotation. After all of the scheduling, last minute changes to specification, revised scheduling, re-submission of Bids / Quotations the hard work finally pays off. Optimumcut has enabled your business to make financial decisions to secure your Bid / Quotation and now the really hard work begins. Or does it ? 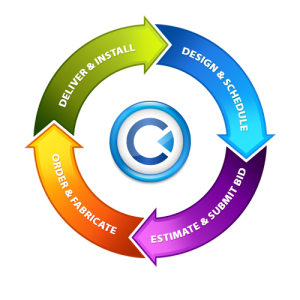 In fact we have made the procurement, ordering and manufacturing process really quite simple. Order optimized materials specific to your project. 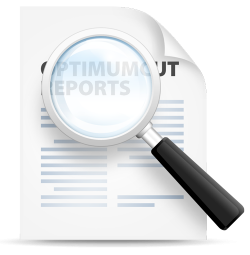 The Optimumcut project file you have been using contains all of your projects information. 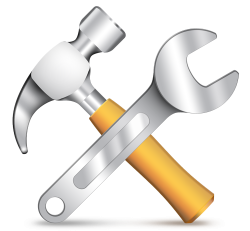 Your components CAD drawings, quantity’s, colours, widths, heights, ironmongery, glazing, panel specifications and sizes, manufacturing timings, labour hours, site fixings, access equipment required to install and commission etc are already defined. Even fully optimised cutting lists with Mill Order custom extrusion lengths. It is not uncommon to order mill finish extrusions, Ironmongery and accessories (excluding glazing and panels) based upon the Bid / Quotation documents knowing full well that the final agreed working sizes may be a few weeks away from final approval / confirmation. Your lead times to on site start date may be short, however at this early stage in the commencement of your project you have never been in such a knowledgable position. From picking lists, detailed labelling and optimized cutting lists to comprehensive manufacturing & fabrication reports, you can trust Optimumcut 1D Professional to assist in the ease of component fabrication. CAD assembly drawings are contained within the Optimumcut manufacturing reports. All items including linear materials, accessories, ironmongery, glazing, panels etc are cross referenced to elevational assembly drawings which clearly denote the location of each item for ease of assembly. Where windows, doors, louvres, storefront and unitised curtainwall etc may be fabricated and assembled in the factory Optimumcut 1D Professional can clearly define where certain components like zone drained curtainwall may be fabricated as loose stickwork. 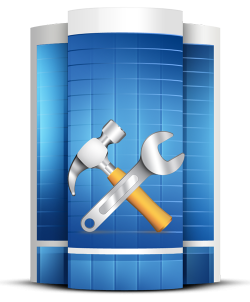 Deliver and install on site your projects components. 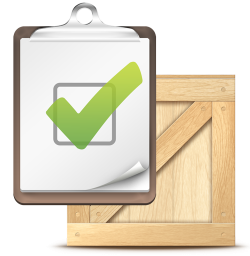 Delivery notes assist the glazier / site fixers when offloading components and materials from the delivery trucks. All items including linear materials, accessories, ironmongery, glazing, panels etc are cross referenced to elevational assembly drawings which clearly denote the location of each item for ease of site installation / commission. Where windows, doors, louvres, storefront and unitised curtainwall etc may be shipped to site as pre-fabricated components, Optimumcut 1D Professional can clearly define where certain components like zone drained curtainwall may be shipped to site as loose stickwork. A detailed diagrammatic installation report can be issued to the site management team clearly identifying the full scope of works that has been installed and handed over. This report can also be used for identifying any on site snagging that may need to be rectified prior to application for payment. BOQ reports (Bills of Quantities) detailing the final agreed selling prices of each component installed / commissioned on site can be issued to the project quantity surveyor with your application for payment.